Used RAMs in Stock | Southfield Chrysler Dodge Jeep Ram " "
Recent Arrival! FCA CERTIFIED PRE-OWNED!, NAVIGATION, REAR VISION CAMERA, REMOTE KEYLESS ENTRY, 16'' ALUMINUM WHEELS, FOG LAMPS, REAR PARK ASSIST, 16 x 6.5 Aluminum Wheels, 5.0 Touchscreen Display, Air Conditioning, Cargo Compartment Trim, Cargo Tie Down Loops, Cargo Van Group, Delete 2nd Row Side Curtain Air Bags, Delete Rear Seating, Exterior Parking Camera Rear, Front Fog Lamps, GPS Antenna Input, GPS Navigation, Integrated Voice Command w/Bluetooth, Left Sliding Door - No Glass, Lights & Wheels Group, ParkSense Rear Park Assist System, Premium Cloth Bucket Seats, Quick Order Package 24D Tradesman SLT Cargo Van, Radio: Uconnect 3 Nav w/5 Display, Rear Cargo Door Window Insert Panel, Remote keyless entry, Right Sliding Door - No Glass, Side Sliding & Rear Doors Solid, Speed control, Steering wheel mounted audio controls. CARFAX One-Owner. Clean CARFAX.Bright White 2018 Ram ProMaster City Tradesman SLT 4D Cargo Van 2.4L I4 MultiAir 9-Speed 948TE Automatic FWDCertified. FCA US Certified Pre-Owned Details: * Powertrain Limited Warranty: 84 Month/100,000 Mile (whichever comes first) from original in-service date * 125 Point Inspection * Roadside Assistance * Includes First Day Rental, Car Rental Allowance, and Trip Interruption Benefits * Limited Warranty: 3 Month/3,000 Mile (whichever comes first) after new car warranty expires or from certified purchase date * Warranty Deductible: $100 * Transferable Warranty * Vehicle HistorySouthfield Dodge Chrysler Jeep Ram is excited to offer this beautiful 2018 Ram ProMaster City. 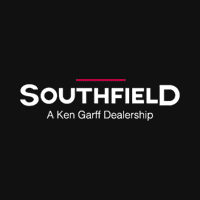 21/28 City/Highway MPGSouthfield Chrysler Dodge Jeep Ram became part of the Ken Garff Family in 2014. Our dealership has many satisfied customers from Southfield, Detroit, Bloomfield Hills, Farmington Hills, and Troy, MI. Our commitment to our customers begins from the moment they step into our showroom and test drive one of our new Chrysler, Dodge, Jeep, or Ram models or one of our quality used vehicles. Recent Arrival! FCA CERTIFIED PRE-OWNED!, 20'' CHROME WHEELS, HEATED BUCKET SEATS, REMOTE START, H.D. TRAILER EQUIPMENT, 8.4'' TOUCH SCREEN RADIO W/ UCONNECT, HEATED STEERING WHEEL, REAR VISION CAMERA, 115V Auxiliary Power Outlet, 40/20/40 Split Bench Seat, 6 Month Trial (Reg. Required), 6 Month Trial (Registration Required), 8.4 Touchscreen Display, Air Conditioning ATC w/Dual Zone Control, Audio Jack Input for Mobile Devices, Auto-Dimming Exterior Mirrors, Auto-Dimming Rear-View Mirror, Big Horn Badge, Big Horn Regional Package, Bright/Bright Billets Grille, Charge Only Remote USB Port, Class IV Receiver Hitch, Electric Shift-On-Demand Transfer Case, Electroluminescent Instrument Cluster, Exterior Mirrors Courtesy Lamps, Exterior Mirrors w/Supplemental Signals, Fog Lamps, Folding Flat Load Floor Storage, For Details Visit DriveUconnect.com, Front Armrest w/3 Cupholders, Front Center Seat Cushion Storage, Glove Box Lamp, GPS Antenna Input, Integrated Voice Command w/Bluetooth, Leather Wrapped Steering Wheel, LED Bed Lighting, Media Hub (USB, AUX), Nav-Capable! See Dealer for Details, Overhead Console w/Garage Dr Opener, ParkSense Front/Rear Park Assist System, ParkView Rear Back-Up Camera, Power 10-Way Driver Seat, Power Heated Fold-Away Mirrors, Power Lumbar Adjust, Power-Folding Mirrors, Premium Cloth 40/20/40 Bench Seat, Quick Order Package 22S Big Horn, Radio: Uconnect 3C w/8.4 Display, Rear 60/40 Split Folding Seat, Rear Dome w/On/Off Switch Lamp, Remote Start System, Remote USB Port, Security Alarm, SIRIUSXM Satellite Radio, Steering Wheel Mounted Audio Controls, Storage Tray, Sun Visors w/Illuminated Vanity Mirrors, Uconnect Access, Underhood Lamp, Universal Garage Door Opener, Wheels: 20 x 8 Aluminum Chrome Clad. CARFAX One-Owner. Clean CARFAX.Black Clearcoat 2017 Ram 1500 Big Horn 4D Crew Cab 3.6L V6 24V VVT 8-Speed Automatic 4WDCertified. FCA US Certified Pre-Owned Details: * Roadside Assistance * Powertrain Limited Warranty: 84 Month/100,000 Mile (whichever comes first) from original in-service date * Includes First Day Rental, Car Rental Allowance, and Trip Interruption Benefits * Vehicle History * 125 Point Inspection * Limited Warranty: 3 Month/3,000 Mile (whichever comes first) after new car warranty expires or from certified purchase date * Transferable Warranty * Warranty Deductible: $100Southfield Dodge Chrysler Jeep Ram is very proud to offer this outstanding-looking 2017 Ram 1500.Southfield Chrysler Dodge Jeep Ram became part of the Ken Garff Family in 2014. Our dealership has many satisfied customers from Southfield, Detroit, Bloomfield Hills, Farmington Hills, and Troy, MI. Our commitment to our customers begins from the moment they step into our showroom and test drive one of our new Chrysler, Dodge, Jeep, or Ram models or one of our quality used vehicles. Recent Arrival! FCA CERTIFIED PRE-OWNED!, 20'' CHROME WHEELS, HEATED POWER BUCKET SEATS, REMOTE START, HEATED STEERING WHEEL, TRAILER PACKAGE, 8.4'' UNCONNECT TOUCH SCREEN RADIO, SPRAY-IN BED LINER, 115V Auxiliary Power Outlet, 40/20/40 Split Bench Seat, 6 Month Trial (Reg. Required), 6 Month Trial (Registration Required), 8.4 Touchscreen Display, Air Conditioning ATC w/Dual Zone Control, Audio Jack Input for Mobile Devices, Auto-Dimming Exterior Mirrors, Auto-Dimming Rear-View Mirror, Big Horn Badge, Big Horn Regional Package, Bright/Bright Billets Grille, Charge Only Remote USB Port, Class IV Receiver Hitch, Electric Shift-On-Demand Transfer Case, Electroluminescent Instrument Cluster, Exterior Mirrors Courtesy Lamps, Exterior Mirrors w/Supplemental Signals, Fog Lamps, Folding Flat Load Floor Storage, For Details Visit DriveUconnect.com, Front Armrest w/3 Cupholders, Front Center Seat Cushion Storage, Glove Box Lamp, GPS Antenna Input, Integrated Voice Command w/Bluetooth, Leather Wrapped Steering Wheel, LED Bed Lighting, Media Hub (USB, AUX), Nav-Capable! See Dealer for Details, Overhead Console w/Garage Dr Opener, ParkSense Front/Rear Park Assist System, ParkView Rear Back-Up Camera, Power 10-Way Driver Seat, Power Heated Fold-Away Mirrors, Power Lumbar Adjust, Power-Folding Mirrors, Premium Cloth 40/20/40 Bench Seat, Quick Order Package 22S Big Horn, Radio: Uconnect 3C w/8.4 Display, Rear 60/40 Split Folding Seat, Rear Dome w/On/Off Switch Lamp, Remote Start System, Remote USB Port, Security Alarm, SIRIUSXM Satellite Radio, Steering Wheel Mounted Audio Controls, Storage Tray, Sun Visors w/Illuminated Vanity Mirrors, Uconnect Access, Underhood Lamp, Universal Garage Door Opener, Wheels: 20 x 8 Aluminum Chrome Clad. CARFAX One-Owner.Maximum Steel Metallic Clearcoat 2017 Ram 1500 Big Horn 4D Crew Cab 3.6L V6 24V VVT 8-Speed Automatic 4WDCertified. FCA US Certified Pre-Owned Details: * Roadside Assistance * Warranty Deductible: $100 * Powertrain Limited Warranty: 84 Month/100,000 Mile (whichever comes first) from original in-service date * 125 Point Inspection * Limited Warranty: 3 Month/3,000 Mile (whichever comes first) after new car warranty expires or from certified purchase date * Includes First Day Rental, Car Rental Allowance, and Trip Interruption Benefits * Vehicle History * Transferable WarrantySouthfield Dodge Chrysler Jeep Ram is honored to offer this wonderful-looking 2017 Ram 1500. Odometer is 14354 miles below market average!Southfield Chrysler Dodge Jeep Ram became part of the Ken Garff Family in 2014. Our dealership has many satisfied customers from Southfield, Detroit, Bloomfield Hills, Farmington Hills, and Troy, MI. Our commitment to our customers begins from the moment they step into our showroom and test drive one of our new Chrysler, Dodge, Jeep, or Ram models or one of our quality used vehicles. Recent Arrival! FCA CERTIFIED PRE-OWNED!, 20'' CHROME WHEELS, REMOTE START, TRAILER PACKAGE, LOCKING TAILGATE, POWER DRIVER SEAT, REAR VISION CAMERA, FRONT/REAR PARKING ASSIST, 115V Auxiliary Power Outlet, 40/20/40 Split Bench Seat, 6 Month Trial (Reg. Required), 6 Month Trial (Registration Required), 8.4 Touchscreen Display, Air Conditioning ATC w/Dual Zone Control, Audio Jack Input for Mobile Devices, Auto-Dimming Exterior Mirrors, Auto-Dimming Rear-View Mirror, Big Horn Badge, Big Horn Regional Package, Bright/Bright Billets Grille, Charge Only Remote USB Port, Class IV Receiver Hitch, Dual Rear Exhaust w/Bright Tips, Electric Shift-On-Demand Transfer Case, Electroluminescent Instrument Cluster, Exterior Mirrors Courtesy Lamps, Exterior Mirrors w/Supplemental Signals, Fog Lamps, Folding Flat Load Floor Storage, For Details Visit DriveUconnect.com, Front Armrest w/3 Cupholders, Front Center Seat Cushion Storage, Fully automatic headlights, Glove Box Lamp, GPS Antenna Input, Integrated Voice Command w/Bluetooth, Leather Wrapped Steering Wheel, LED Bed Lighting, Media Hub (USB, AUX), Nav-Capable! See Dealer for Details, Overhead Console w/Garage Dr Opener, ParkSense Front/Rear Park Assist System, ParkView Rear Back-Up Camera, Power 10-Way Driver Seat, Power Heated Fold-Away Mirrors, Power Lumbar Adjust, Power-Folding Mirrors, Premium Cloth 40/20/40 Bench Seat, Quick Order Package 26S Big Horn, Radio: Uconnect 3C w/8.4 Display, Rear 60/40 Split Folding Seat, Rear Dome w/On/Off Switch Lamp, Remote Start System, Remote USB Port, Security Alarm, SIRIUSXM Satellite Radio, Steering Wheel Mounted Audio Controls, Storage Tray, Sun Visors w/Illuminated Vanity Mirrors, Uconnect Access, Underhood Lamp, Universal Garage Door Opener, Wheels: 20 x 8 Aluminum Chrome Clad. CARFAX One-Owner. Clean CARFAX.Bright White Clearcoat 2017 Ram 1500 Big Horn 4D Crew Cab HEMI 5.7L V8 Multi Displacement VVT 8-Speed Automatic 4WDCertified. FCA US Certified Pre-Owned Details: * Transferable Warranty * Warranty Deductible: $100 * Limited Warranty: 3 Month/3,000 Mile (whichever comes first) after new car warranty expires or from certified purchase date * Vehicle History * Roadside Assistance * 125 Point Inspection * Powertrain Limited Warranty: 84 Month/100,000 Mile (whichever comes first) from original in-service date * Includes First Day Rental, Car Rental Allowance, and Trip Interruption BenefitsSouthfield Dodge Chrysler Jeep Ram is proud to offer this gorgeous 2017 Ram 1500. Odometer is 1997 miles below market average!Southfield Chrysler Dodge Jeep Ram became part of the Ken Garff Family in 2014. Our dealership has many satisfied customers from Southfield, Detroit, Bloomfield Hills, Farmington Hills, and Troy, MI. Our commitment to our customers begins from the moment they step into our showroom and test drive one of our new Chrysler, Dodge, Jeep, or Ram models or one of our quality used vehicles. Recent Arrival! FCA CERTIFIED PRE-OWNED!, LEATHER HEATED/COOLED SEATS, H.D. TRAILER PACKAGE, TRAILER BRAKE CONTROLLER, REAR VISION CAMERA, APPLE CARPLAY, 18'' ALUMINUM WHEELS, Automatic temperature control, Front dual zone A/C, Front fog lights, Fully automatic headlights, Garage door transmitter, Heated front seats, Heated steering wheel, Leather Trim 40/20/40 Bench Seat, Memory seat, Power driver seat, Power passenger seat, Radio: Uconnect 4C w/8.4 Display, Speed control, Steering wheel mounted audio controls, Ventilated front seats, Wheels: 18 x 8.0 Polished Aluminum. CARFAX One-Owner.Granite Crystal Metallic Clearcoat 2018 Ram 2500 Laramie 4D Crew Cab Cummins 6.7L I6 Turbodiesel 6-Speed Automatic 4WDCertified. FCA US Certified Pre-Owned Details: * Limited Warranty: 3 Month/3,000 Mile (whichever comes first) after new car warranty expires or from certified purchase date * Warranty Deductible: $100 * Powertrain Limited Warranty: 84 Month/100,000 Mile (whichever comes first) from original in-service date * Roadside Assistance * 125 Point Inspection * Transferable Warranty * Vehicle History * Includes First Day Rental, Car Rental Allowance, and Trip Interruption BenefitsSouthfield Dodge Chrysler Jeep Ram is very proud to offer this wonderful-looking 2018 Ram 2500.Southfield Chrysler Dodge Jeep Ram became part of the Ken Garff Family in 2014. Our dealership has many satisfied customers from Southfield, Detroit, Bloomfield Hills, Farmington Hills, and Troy, MI. Our commitment to our customers begins from the moment they step into our showroom and test drive one of our new Chrysler, Dodge, Jeep, or Ram models or one of our quality used vehicles. Recent Arrival! FCA CERTIFIED PRE-OWNED!, LEATHER HEATED/COOLED SEATS, H.D. TRAILER PACKAGE, HEATED STEERING WHEEL, 18'' ALUMINUM WHEELS, POWER CHROME TRAILER TOW MIRRORS W/POWER FOLD AWAY, REAR VISION CAMERA, HEATED STEERING WHEEL, Automatic temperature control, Front dual zone A/C, Fully automatic headlights, Garage door transmitter, Heated front seats, Heated steering wheel, Leather Trim 40/20/40 Bench Seat, Memory seat, Power driver seat, Power passenger seat, Radio: Uconnect 4C w/8.4 Display, Speed control, Steering wheel mounted audio controls, Ventilated front seats, Wheels: 18 x 8.0 Polished Aluminum. CARFAX One-Owner.True Blue Pearlcoat 2018 Ram 2500 Laramie 4D Crew Cab Cummins 6.7L I6 Turbodiesel 6-Speed Automatic 4WDCertified. FCA US Certified Pre-Owned Details: * Warranty Deductible: $100 * Roadside Assistance * Vehicle History * Includes First Day Rental, Car Rental Allowance, and Trip Interruption Benefits * Powertrain Limited Warranty: 84 Month/100,000 Mile (whichever comes first) from original in-service date * Limited Warranty: 3 Month/3,000 Mile (whichever comes first) after new car warranty expires or from certified purchase date * 125 Point Inspection * Transferable WarrantySouthfield Dodge Chrysler Jeep Ram is very proud to offer this outstanding-looking 2018 Ram 2500.Southfield Chrysler Dodge Jeep Ram became part of the Ken Garff Family in 2014. Our dealership has many satisfied customers from Southfield, Detroit, Bloomfield Hills, Farmington Hills, and Troy, MI. Our commitment to our customers begins from the moment they step into our showroom and test drive one of our new Chrysler, Dodge, Jeep, or Ram models or one of our quality used vehicles. Recent Arrival! FCA CERTIFIED PRE-OWNED!, LEATHER HEATED/COOLED SEATS, HEATED STEERING WHEEL, 18'' ALUMINUM WHEELS, REAR VISION CAMERA, Automatic temperature control, Front dual zone A/C, Front fog lights, Fully automatic headlights, Garage door transmitter, Heated front seats, Heated steering wheel, Memory seat, Power driver seat, Power passenger seat, Radio: Uconnect 4C w/8.4 Display, Remote keyless entry, Speed control, Steering wheel mounted audio controls, Ventilated front seats, Wheels: 18 x 8.0 Polished Aluminum. CARFAX One-Owner.Bright White Clearcoat 2018 Ram 2500 Laramie 4D Crew Cab Cummins 6.7L I6 Turbodiesel 6-Speed Automatic 4WDCertified. FCA US Certified Pre-Owned Details: * Limited Warranty: 3 Month/3,000 Mile (whichever comes first) after new car warranty expires or from certified purchase date * Includes First Day Rental, Car Rental Allowance, and Trip Interruption Benefits * Vehicle History * Warranty Deductible: $100 * Transferable Warranty * 125 Point Inspection * Powertrain Limited Warranty: 84 Month/100,000 Mile (whichever comes first) from original in-service date * Roadside AssistanceSouthfield Dodge Chrysler Jeep Ram is excited to offer this great 2018 Ram 2500. Odometer is 2522 miles below market average!Southfield Chrysler Dodge Jeep Ram became part of the Ken Garff Family in 2014. Our dealership has many satisfied customers from Southfield, Detroit, Bloomfield Hills, Farmington Hills, and Troy, MI. Our commitment to our customers begins from the moment they step into our showroom and test drive one of our new Chrysler, Dodge, Jeep, or Ram models or one of our quality used vehicles.